Rhubarb is one of those foods that most of us have heard about…but not many of us have eaten and even fewer of us have bought and cooked ourselves. Until a few days ago, I had never bought rhubarb in my life, much less used it in any recipes. All I knew was that it looked like a magenta-colored celery stalk…and that the most common way people eat it is in strawberry rhubarb pie. 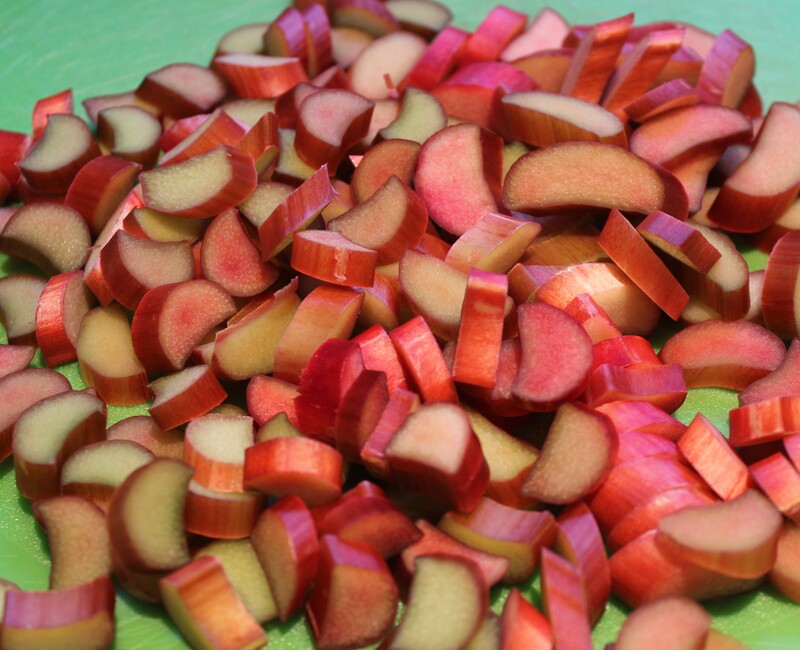 Chopped rhubarb. So pretty and colorful! I’ve never been much of a pie person (more a fan of crisps and crumbles) and had no clue what to do with rhubarb, so to Pinterest I went in search of a recipe! 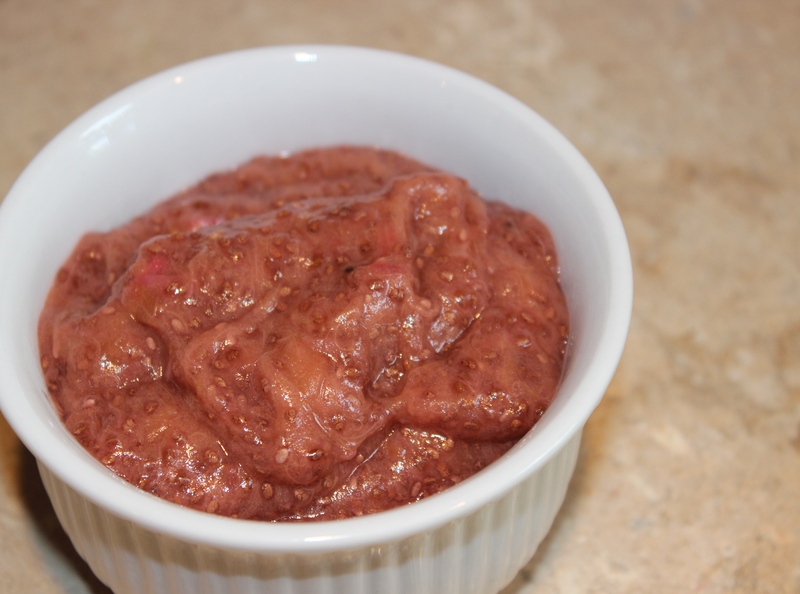 I stumbled upon a simple, whole food recipe without refined sugar that featured rhubarb and (bonus!) contained only 4 ingredients. The jam tastes like a combination of sweet strawberries, tart cherries and tangy lemon, even though there are no strawberries or cherries in it. Rhubarb has that unique of a taste! You can put this deliciously tart and tangy jam on toast, in oatmeal or breakfast porridge, or in plain yogurt, or use it as a dessert topping. 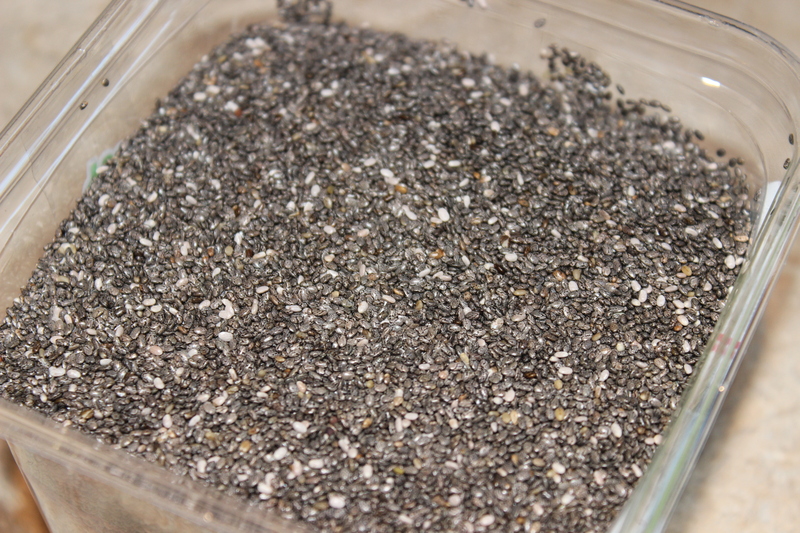 Chia seeds are another ingredient in this recipe and are a staple in our pantry. They can be used in so many ways, including jams, puddings and smoothies. Not only that, but they’re a super-powered beauty detox food with some pretty amazing health benefits listed below! Ch-ch-ch-chia seeds! You can find these at any health food store or online at Amazon, Vitacost or other stores.